We are a dynamic Chiropractic Centre, committed to offering Milton Keynes chiropractic patients the highest quality of care by being consistently efficient, enthusiastic and dedicated to our patients’ wellbeing. Our commitment is to inform and enhance awareness of the importance of spinal health and its implications to general health. As a part of this commitment we utilise advanced treatment techniques and most current chiropractic developments to help patients achieve their health goals. We care, educate and hope to see our patients embrace the emerging wellness model that focuses on early detection, prevention and optimal well-being. This approach is part of what makes us unique among Milton Keynes chiropractors. “Many patients try chiropractic as the last resort, after other forms of treatment have failed to help,” Gabriela comments. In most cases chiropractic would have been the most suitable treatment approach in the first place! There is an acute lack of awareness and misunderstanding of Chiropractic’s scope of practice. Consequently the service for the public is greatly limited due to a lack of awareness of healthcare options. 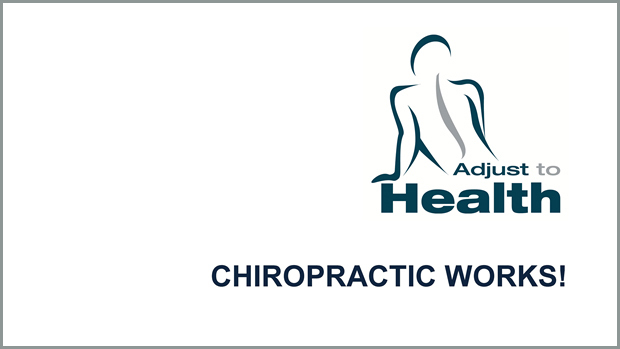 Many patients have lost hope of living a normal life again until starting chiropractic care. Once started a common reaction is that they wish they had done so many years earlier. We offer a lifetime of excellent quality care to all who seek our service. If you are looking for a chiropractor in Milton Keynes who will make your health care the No. 1 priority, Adjust To Health can help! Do not wait until you have exhausted your health and time to find an effective solution. We are here to listen and help!